Triathletes Journey: A "He said, She said" reporting on races and events: 1900m of Something Called "Swimming"
Webb: I put together the workout trying to put in a little of everything: technique (drills), strength (fly), speed (sprints) and endurance (sprints followed by strength coupled with T-pace sets). I enjoy creating workouts. They can be fun, grueling and at times both. The problem is that I am not qualified to put together workouts with the overall system or big picture in mind. Swim instructors and coaches may shake their heads at my workouts. Elle: I thought this was a good workout. It was fun to be in the pool with Webb. And for the second half, we had to share a lane, which is good for preparing for open water swimming. Webb: It was great being back in the pool. 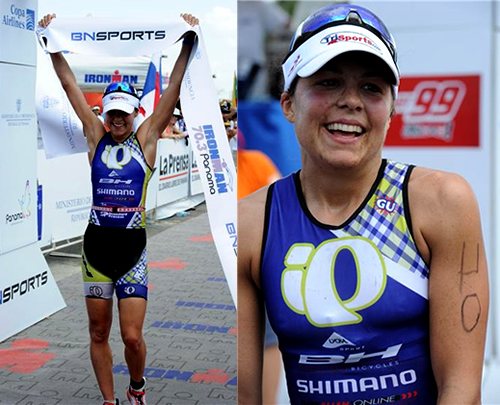 We've been ignoring it like the WTC ignored the women's pro field at Ironman Panama 70.3 today. Seriously, I've neglected my swimming and need to see if I had any feel for the water. Surprisingly, I felt pretty good. My fitness seems to be there. Not surprisingly, my stroke needs work (it always will) and my strength was lacking. Still, I'll call it a good day in the water.